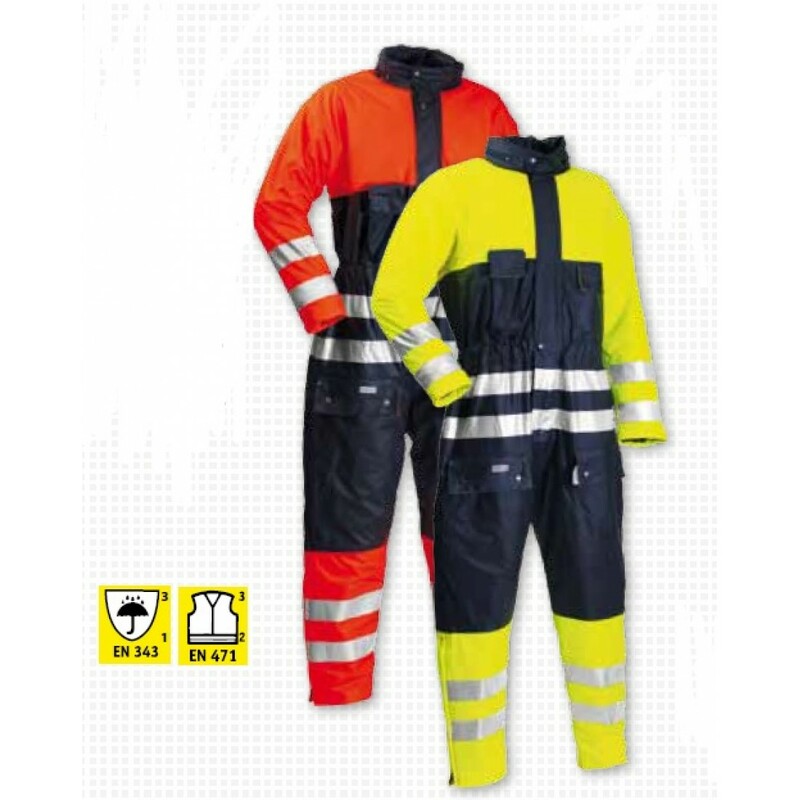 Microflex Hi-Viz Winter Coverall with a quilted lining. Hood with drawstring, hidden in collar. Zipper under double storm flap with press studs. Elasticated loin. 2 chest pockets (one for phone). 2 thigh pockets. 1 thigh pocket at back for tools. Knitted windcuffs in sleeves. Zipper and inside storm flap at ankles with reflective tape.